It’s said that customer feedback is the best way to gauge a product’s success. And feedback about Profile 22’s Optima system is perfectly demonstrating the impact it’s having on the market. 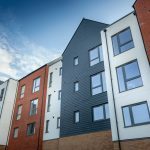 Ryan Johnson, Managing Director of Emplas says: “Profile 22 and Epwin have taken the feedback from fabricators and installers and brought that into the design of Optima system. It’s made for the market now – there isn’t another system which is so current or which offers installers so many different sales platforms. Many fabricators are concerned about what switching to a new system will do to their production schedules but with Profile 22 change need not be difficult. In 2016 the company successfully undertook a complete changeover of nearly 100 Profile 22 fabricators to Optima system in just nine months and have seamlessly brought on-board a significant number of new fabricators so far this year too. All this positive feedback is reflected in Optima figures. Record numbers of fabricators are switching to Optima and sales figures are very strong. This is testimony to the added value Optima offers. 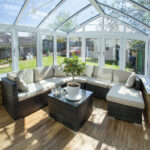 23/10/18 - Wait…so what’s the difference between a conservatory and an orangery?